Westwood Banana Company was established in 1915 in Tarrytown, NY. It has been owned and operated by the Markantes family for over 100 years. Our lifetime of experience in the produce industry as well as our state-of-the-art ripening rooms ensure our customers consistently receive the highest quality product. We are the leading provider of quality wholesale bananas and plantains for Northern NJ and the NYC metropolitan area. We specialize in ripening, storage, and wholesale distribution. Westwood Banana Co. is located in Hillsdale in Bergen County, NJ. Our trucks deliver daily to northern and central New Jersey, Rockland, Westchester, and Bronx counties, Connecticut, and surrounding areas. Please contact us for delivery or pricing inquiries. After emigrating from Greece in the early 20th century, Charles Markantes established Chas. Markantes & Co. produce company, delivering fresh fruit by horseback in Tarrytown, NY. In the mid 1950's, Charles moved the company to Westwood, NJ with his son, Timothy Markantes, changing the name to Westwood Banana Co. Today, the business operates in Hillsdale, NJ, run by third and fourth generation bananamen Timothy (Jr.) and Nick Markantes. 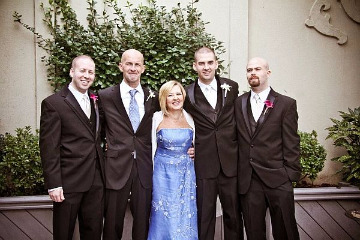 Timothy Jr. and Cindy Markantes with their three sons; Timothy III, Nick, and Alex. 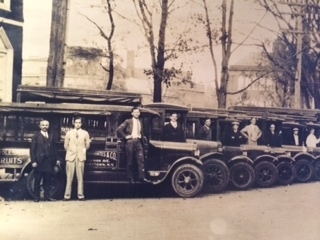 2015 marked the centennial anniversary of the family-run banana business.